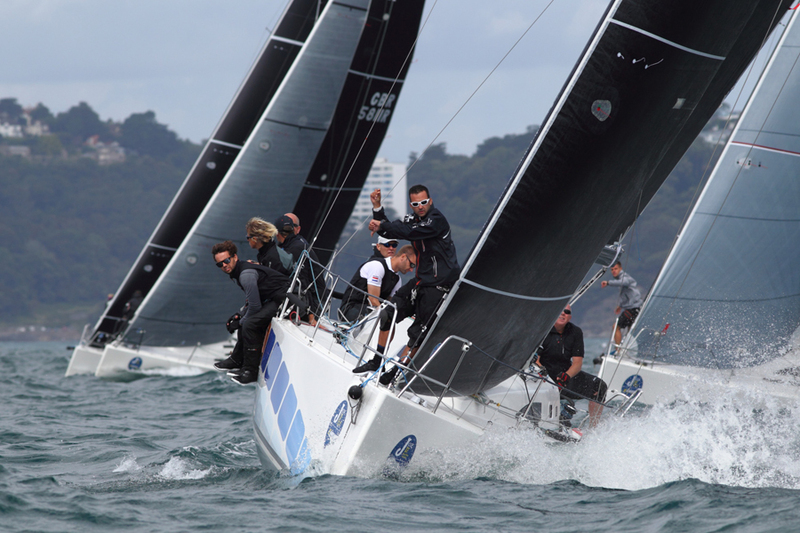 Hosted by the Royal Torbay Yacht Club, the 20th J-Cup saw forty-one J boats come together for three days of racing. The J/109 was the largest fleet, with fifteen boats. In true British summertime style, the competitors had everything from sunshine to hail, but a consistent 15+ knots each day meant the boats had a fantastic time racing. North Sails was proud to be one of the partner sponsors of the event. Daily prizes for the overall winners were provided as well as daily weather forecasting briefs. The North U post-racing sessions, run by North experts, brought the crowd together for a recap and tips for the next day. Perhaps the most hotly contested fleet was the J/88. After Day 1 the top four boats were separated by only two points, with Kirsty & David Apothorp’s J-Dream and Paul Ward’s Eat, Sleep, J, Repeat tied in 1st place, followed by Gavin Howe’s Tigris and Tim Tolcher’s Raging Bull tied in second. This battle went on until the final day when Eat, Sleep, J, Repeat took the title with finishes of 1-2-(4)-2-1-2-2-3, giving them a 2 point lead over J-Dream. Congratulations Paul Ward and team for a great regatta! In the J/111 class, the competition between Sweeney and McFly continued on from Cowes Week with the two boats battling hard against each other to take the win. Between the two of them, they won all the races. However, Sweeney squeezed ahead of McFly in the end with a four point lead. The outstanding performance of the week and the overall winner of the J-Cup went to Divanti Tyres, Marie-Claude & Paul Heys in the J/112E class, who completed the series with all bullets! North Sails is proud to be the stand-out sailmaker of choice at the J-Cup. Get in touch with a North expert to learn about latest offerings and how to up your game next season!